"None that I know of," an intended humorous response to "Do you have any children?" given by men, who want to express that they are virile, sexually potent, puissant, and manly in spite of the lack of siblings. But life has proven to be stranger than fiction. Hi, my name is obviously Joe. I'm an eternal optimist, looking for children I don't know of as I have explained, why I am doing this. The reason for not knowing are many and not necessarily my fault or that of the mother. There are reasons why mothers don't want their child to know who is their biological father? and why are there children that fathers don't know of? However, I assure you, that if I had a clue of child where I am the father, I would be there. When I first put up this site was in October of 1999 I was looking for only children that I don't of. I figured that they would be of an age below thirty. However, as of today, November 21, 2011, I wouldn't be surprised to find that I may have a few grand children and maybe even a great grand child. My search for kids, I don't know of, is no game of Hide and Seek. I'm not hiding, but I have to be found by mothers and or children looking for their unknown or lost fathers. Men unknown or lost either by choice or by circumstance that ask the question. Why are there mothers don't want their child to know who is their biological father? 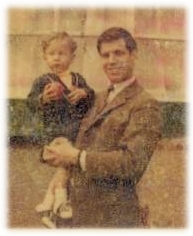 and Why are there children that fathers don't know of?To make my search work, I am providing photos of myself through the years and some information about me that might provide a key to a mother's memory of the images, moments and events that lead to the conception of child who wants to or should know who his biological father is. Previos Occupation Was an Account Rep for computer marketing in New York City. Later as an entrepreneur established PC Systems International, Hi-Tech Cinema and A&A Internet. Presently Retired and writing. Authored "None That I Know Of", "The American Idol Book", How To Become A Movie Star In Ten Steps. You're A Dog Jack, Snapped, The Gloria Delaurentis Story, and The Caregiver all available in paperback or on Kindle. Links to Amazon are also available at www.ten-steps-to.com, www.nonethatiknowof.com , www.theamericanidolbook.com, www.freehigh.net. I have also created and produced Free High, a series of motivational CDs to aid create natural highs without drugs. I have also written seven original screenplays titled Commune-a-Vision, The Beggar's Ball, Don't Cry Pop, Out of Control, Twisted Emotions, and You're a Dog. I attended New York City speech and acting classes and studied at the Weist-Barron School of Television for commercial acting. In the past I also performed stand-up comedy at Catch A Rising Star, The Improv, and other comedy clubs. Prior to moving to Hollywood, I lived in New York City, where as the president of Hi-Tech Cinema, I provided industry software for film production companies, commercial production companies, and writers. Click Here to contact me. "Looking to be found"